When you are open the PS4 and want to enjoy the NBA 2K19 game, you get “there is a problem with connection to online services”, which will definitely frustrating you. 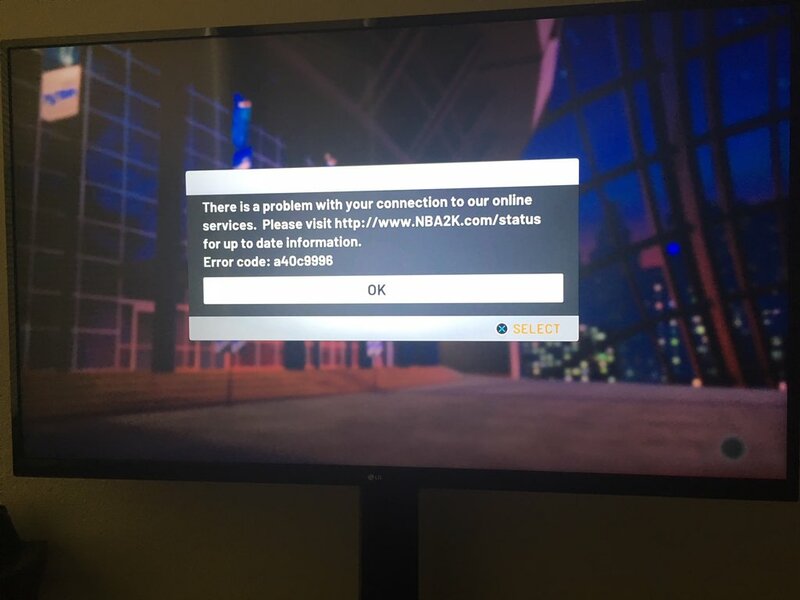 The error code A40C9996 is one of the most common issues in NBA 2K19, you should try to reconnect more times or even restart the console, however, if these methods still does not work. GamePretty will give you some solutions to fix this error code. NBA 2K19 error code A40C9996 is a 2K server problem, which means that you should firstly to look for the new patch for the game. Try to update the new patch and restart the game. 4.When you log in successfully, this is an automatic verification of your account via the log in. Hope our method can solve your problem and if it still does not work, you should wait for the 2K server up.